Sheikh Waheed Balaous implied the faction was armed thanks to funding from Druze in Israel. 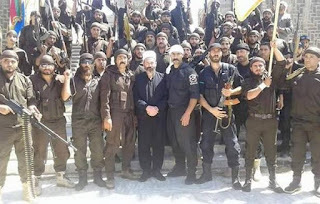 BEIRUT – An anti-regime Druze cleric active in Syria’s Suweida province has announced the formation of an armed party, which he cryptically implied had been equipped with the help of Druze compatriots in Israel. Sheikh Waheed Balaous issued a statement Tuesday heralding the founding of the Bayrak al-Fahd (Banner of Fahd) in the village of Mazraa, which was the site of a historic August 1925 battle that saw Druze under the leadership of Sultan Pasha al-Atrash rout French troops in a victory that inspired the Great Syrian Revolt against colonial mandate. “We are against everyone who attacks us. If it is ISIS, ISIS is the enemy. If it is Nusra, Nusra is the enemy. If the state wants to attack us, it is the enemy… Even if my son Fahd wanted to attack my land and my honor he would be the enemy,” the renegade cleric who heads the opposition Sheikhs of Dignity group declared. He also launched a broadside against Syrian security chief Ali Mamlouk, accusing him of trying to destroy the anti-regime Syrian Druze. Balaous in the past has accused Syrian military intelligence of aiming to incite strife in Suweida in a bid to up support among the Druze population of the province for the regime. The announcement of the new Druze armed group comes amid heightened rifts in Suweida, which has been threatened by ISIS advances to the east, while rebels in the west have fought regime troops near the Thaala airbase outside Suweida’s provincial capital. While the Druze-populated areas of southern Syria are under regime control, residents of the region have generally maintained an autonomous attitude against not only Islamist rebels but also regime efforts to enlist Druze locals to fight in far-off areas of the country. However, as the regime has faced growing pressure, pro-Assad figures in Suweida as well as the Druze community outside the province have attempted to rally support behind Damascus. 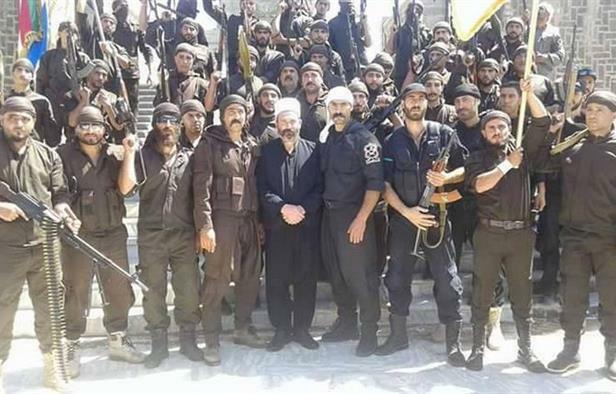 In June, the spiritual chief of the Druze community in Syria issued a call for young men in Suweida to join the Syrian army. “In answer to the call of the homeland, duty, President Bashar Hafez al-Assad’s instructions, our adherence to our patriotic stances and our glorious history, the spiritual leadership of [the Druze community] […] is sending out ‘the National and Religious Call’ to all of our honorable sons who are able to bear arms […] and have not signed up for mandatory military service […],” Hikmat al-Hajari said in a written statement. Druze youths in southern Syria have protested against the regime’s military conscription efforts in recent weeks, while residents of Druze-populated areas have moved to arm themselves.